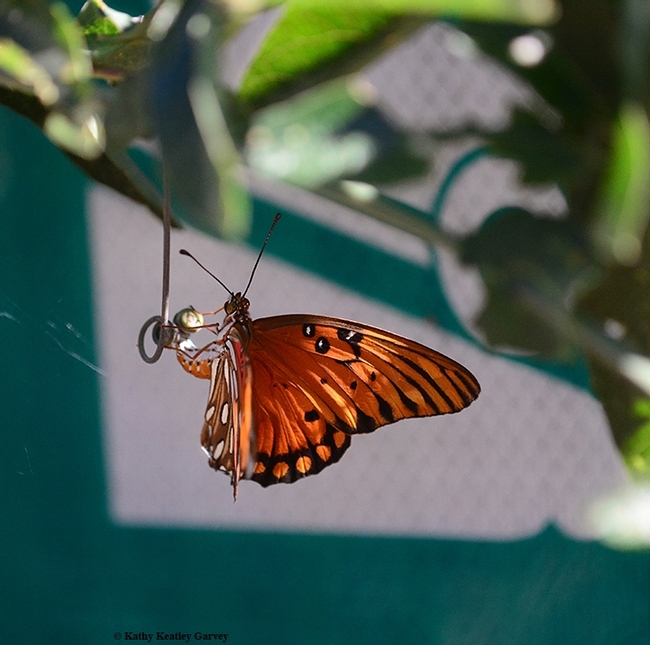 Ever seen a Gulf Fritillary butterfly laying an egg? 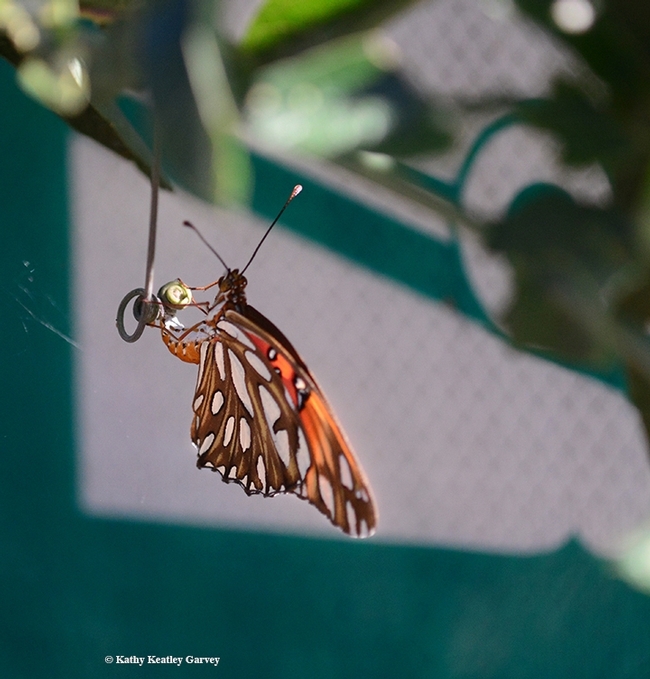 The Gulf Frit (Agraulis vanillae), an orangish-reddish butterfly of the family Nymphalidae, lays its eggs on its host plant, Passiflora. When you see its silver-spangled underwings, you may think there are two different butterflies. In the photo below, it's laying eggs on the tendrils of the passionflower vine. It first appeared in California in the vicinity of San Diego in the 1870s, according to noted butterfly researcher Art Shapiro, professor of evolution and ecology at the University of California, Davis. He's been monitoring the butterflies of central California for four decades and provides information on his website at http://butterfly.ucdavis.edu. We never tire of seeing them. Especially the silver-spangled underwings! Truly amazing photographs, Kathy! We’re so lucky to be able to enjoy your work.